Turn your photos into customisable art with this tool. Ready to bring your photos to life? 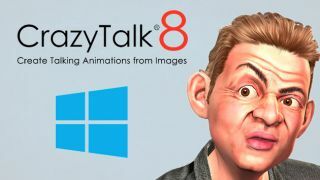 CrazyTalk 8 PRO for Windows lets you turn your photos into real and customisable 2D or 3D talking heads. This software typically costs $149, but it's currently on sale for 56 per cent off at just $65. This innovative software turns your regular, everyday photos into real 3D or classic 2D heads utilising 3D face fitting technology for instant results. And when you're ready to provide the soundtrack, just use the voice and audio files of your choosing or take advantage of the auto lip-sync that can be read from text, audio or your very own voice. Once you've got your models talking, dress them up and customise them with the accessory designs. Then set the scene by adjusting atmosphere settings with background, wind and even lighting. Anything you dream of can come to life thanks to CrazyTalk 8 PRO! It's ready to use on your Windows Desktop. Bring your photos to life with CrazyTalk 8 Facial Animation Pro Plan today. Get it for just $65 here.